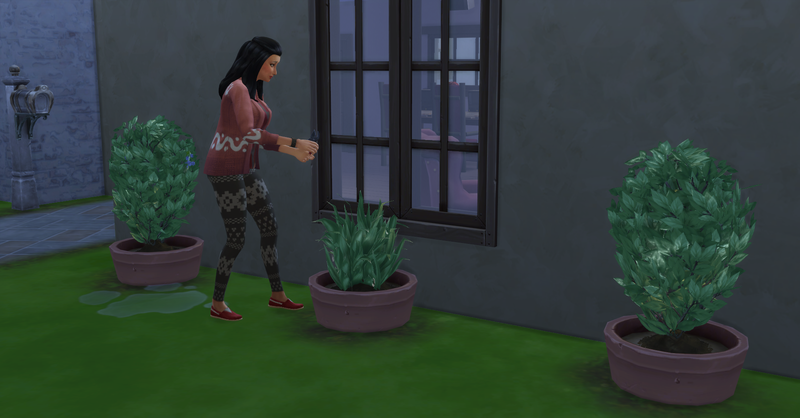 Rosabelle and Pawel were woken up to a midnight surprise pregnancy! Pawel wants a boy so he has bought a stereo so Rosabelle can listen to alternative music which he has heard can influence a male gender. Fortuna is doing in well in both school and her aspiration, which are both areas she needs to succeed in, in order for her to have to most successful financial future. 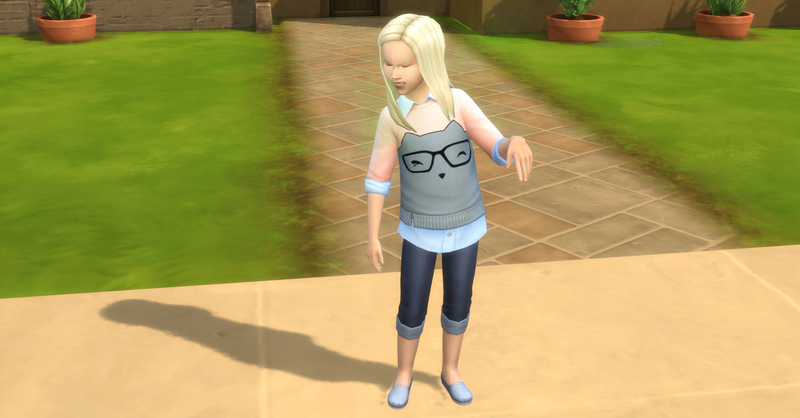 The family drive for a million simoleons has been passed down to the next generation! 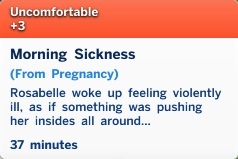 Rosabelle woke up early feeling sick. 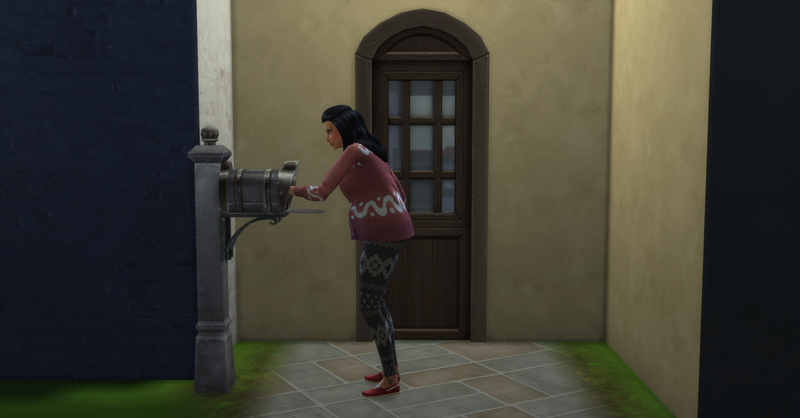 She rushes to the bathroom and throws up from morning sickness. Fortuna wakes up and goes to get breakfast. 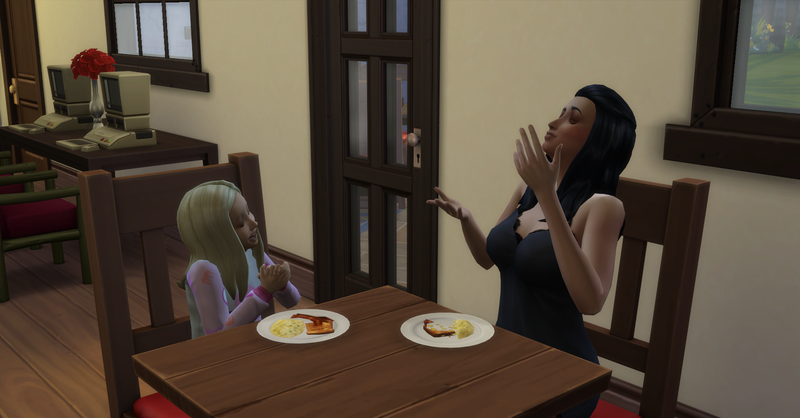 Fortuna begs her mom for new toys and playthings. 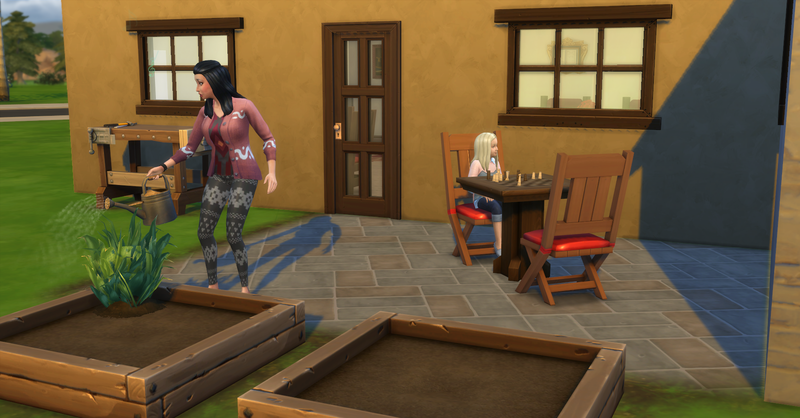 After breakfast Rosabelle goes to tend the garden while Fortuna ponders chess to get focused for school. Rosabelle then takes a cutting of the new snapdragon plant and grafts it to the lily plant to create orchid flowers. She knows these are rare flowers and will fetch a good price at the farmer’s market. Pawel wakes up and grabs some breakfast. Afterwards he goes to use the bathroom but is disgusted by the gross toilet from Rosabelle throwing up this morning. 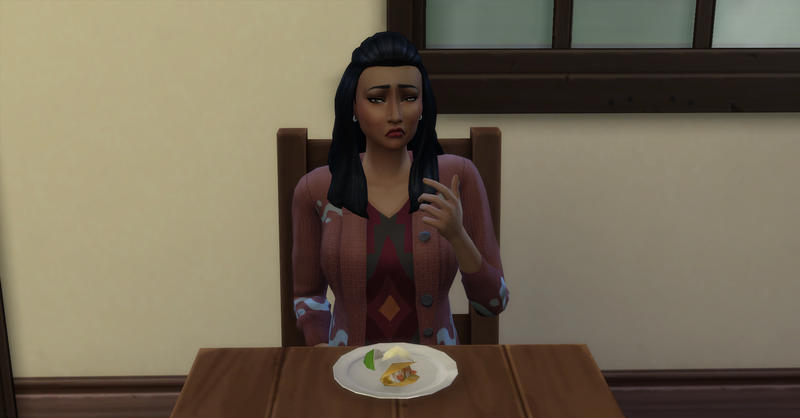 Rosabelle decides to mix it up and since she has a pregnancy craving for them, she cooks fish tacos (§10) their funds are now §43552 simoleons. Author’s Note: I have decided to stop including the pictures of the royalty reports because they are cutting off the most recent books anyway and they are just taking up space on here that could be used for more interesting pictures, I will still be reporting the numbers. Fortuna goes to school and Rosabelle and Pawel work on their books. 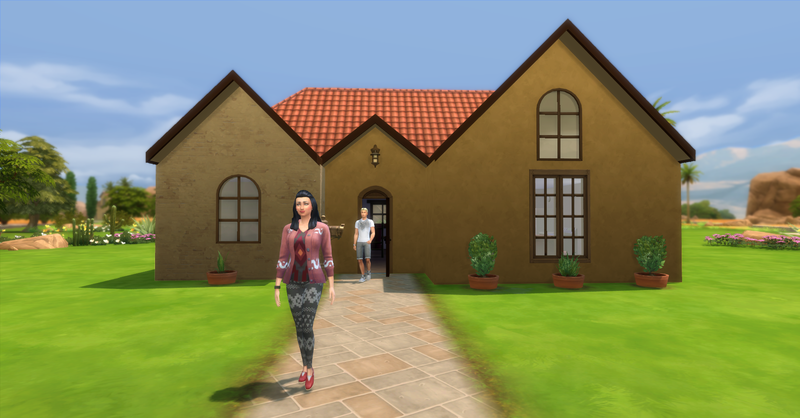 Today’s Royalty Report also arrives, they earned §4744 and their funds are now §48296 simoleons. Rosabelle and Pawel browse art on the web together for inspiration before work. Then they head out to work. 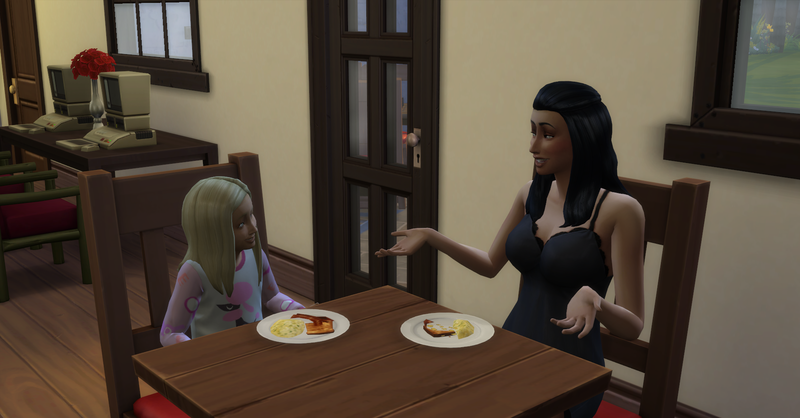 Fortuna comes home from school at 3pm, the parents are at work until 9pm apparently its ok for her to be at home unsupervised until they get home. She is stinky and uncomfortable from low hygiene and tense from school. She takes a shower and then tries to calm down in the mirror. When she is calm she does her homework and extra credit work. 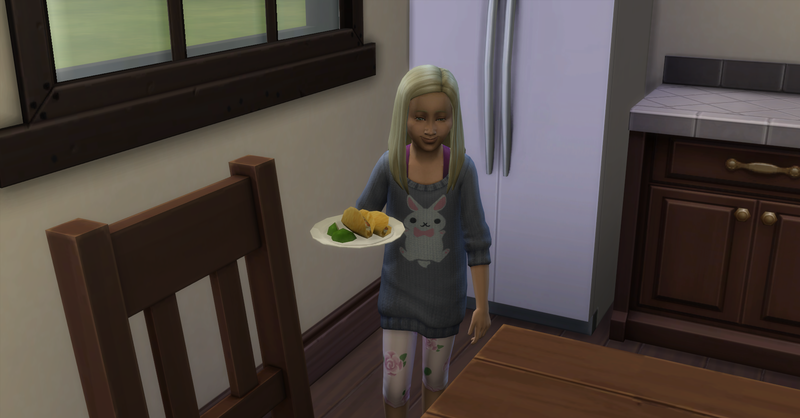 Then she grabs some of the fish tacos Rosabelle made this morning. 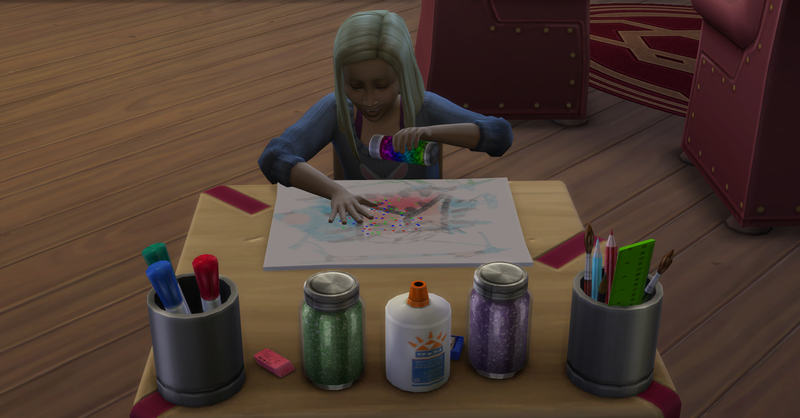 After dinner she draws on the activity table. Pawel and Rosabelle come home from work. Pawel made §480 simoleons at work and Rosabelle was promoted to Novelist. 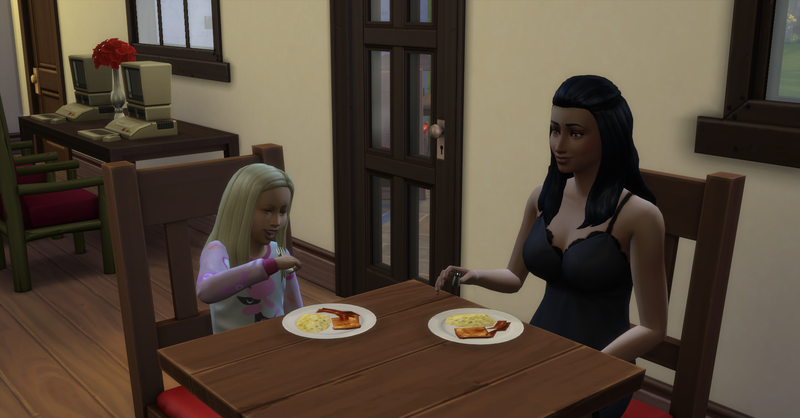 She also earned §480 in regular pay and a cash bonus of §1243 simoleons. Their funds are now §50,499! Rosabelle is very tired when she gets home from work so she immediately heads for the bedroom to nap. Pawel watches tv for fun for a while. Then he starts a new sci-fi book called The Venusian Chronicles, after writing for awhile he is getting tired. 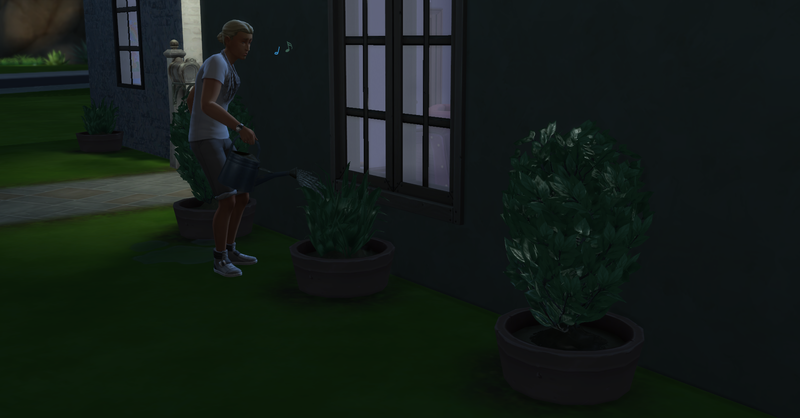 He tends the garden and goes to bed. 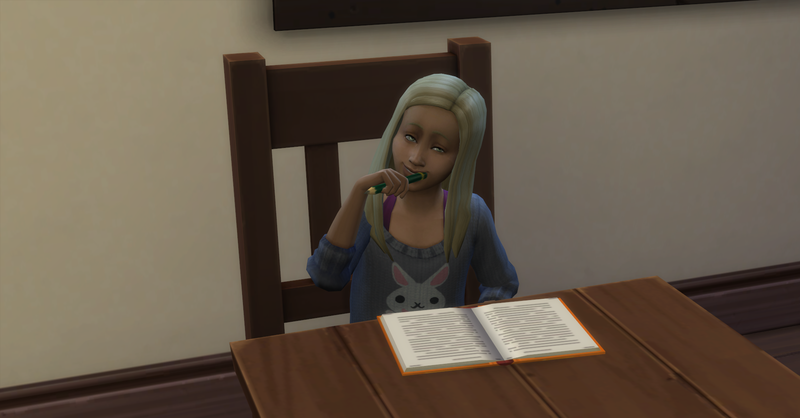 Rosabelle wakes up from her nap and resumes work on her book. She works on it for a while and finishes the book. She immediately sends it to the publisher. 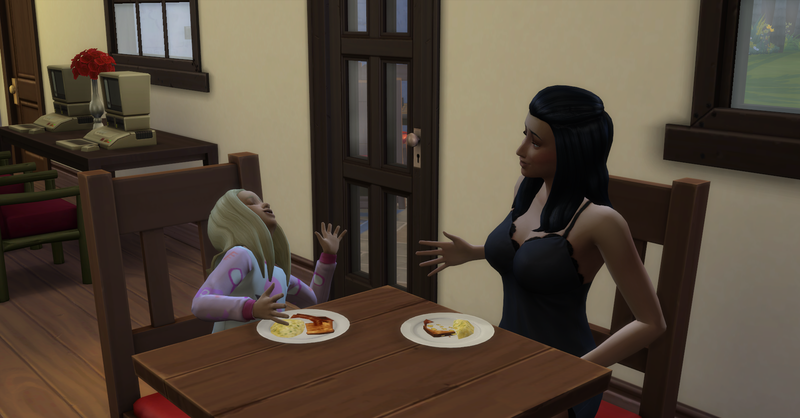 She is also now in the 2nd trimester of her pregnancy. She then brainstorms and starts another mystery called No Way In. After writing for a while she takes a break to eat the fish tacos she was craving this morning. Although tonight they seem more disgusting than delicious. Rosabelle heads to bed after eating. She is now huge and still only in the 2nd trimester! I hope so too! You can find out tomorrow! I’m looking forward to seeing how they add on to the house. 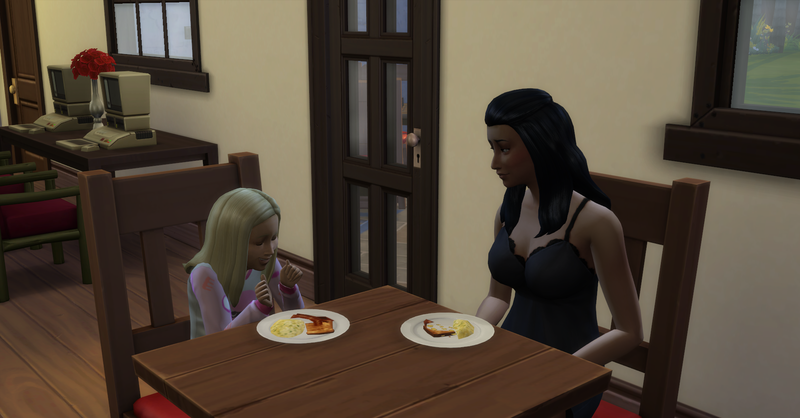 They will have to add onto the house soon, especially once Fortuna becomes a teenager.